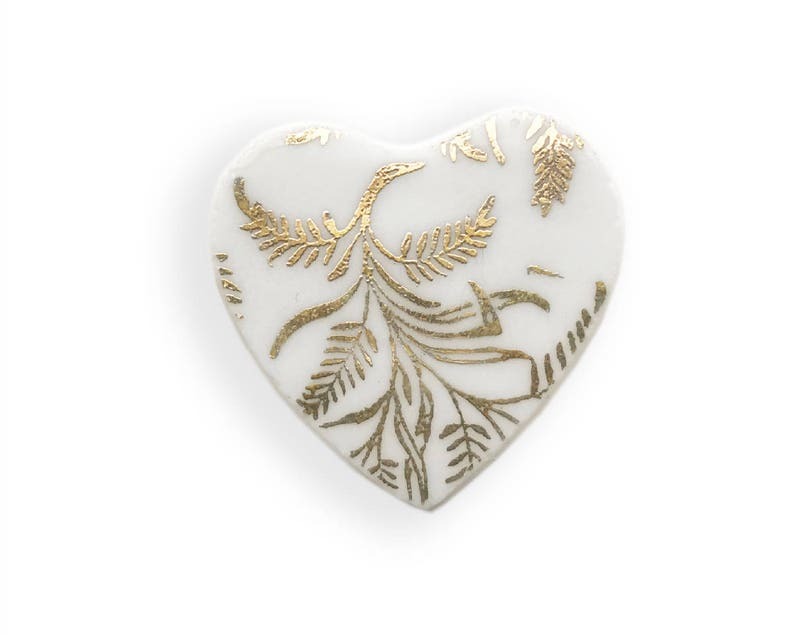 A small gold fern brooch, crafted from vintage broken china. Perfect for coats, sweaters, shirts, hats or as embellishments to fine quilts and other fiber arts or handmade goods. Gift box included and I will be happy to add your personal message on one of my custom made cards.